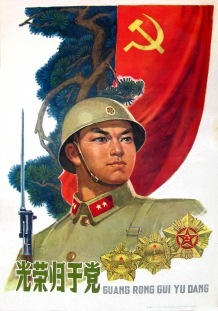 Vintage original Chinese Propaganda poster. Printed in Shanghai, China, 1963. Linenbacked.